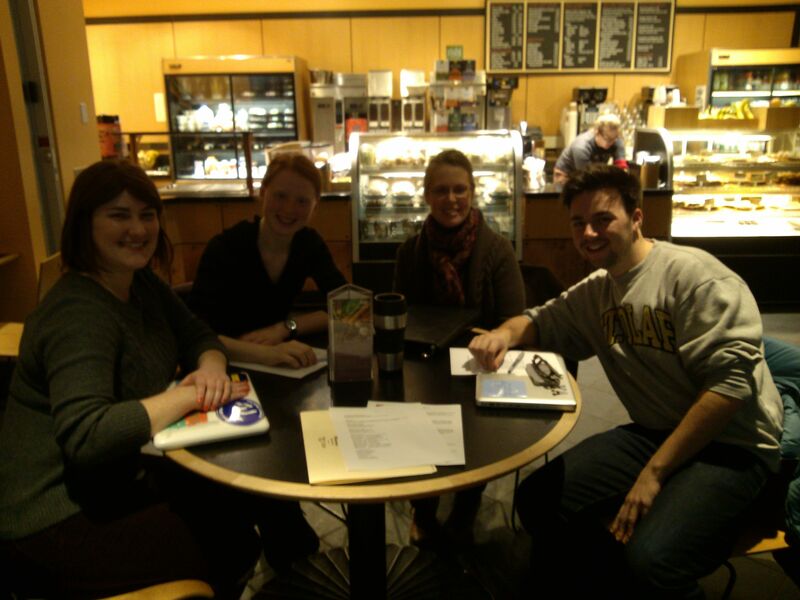 It’s another great NDDC College-Community Collaboration Project, featuring students from St. Olaf College. Students from Sian Muir’s Arts Management class are beginning work on the “Community Event Programming Infrastructure Project”. The students will explore enhancing Northfield’s infrastructure, both hard and soft, for supporting arts and culture programming. Specifically, they’ll look at the infrastructure of programming logistics: performance spaces and equipment, permits and insurance, utilities and port-a-potties, marketing and financing. The needs of programming organizations will drive the project; students will review programmers’ experiences and needs and identify opportunities and resources for enhancing the community’s programming infrastructure. Pictured are Collen Erkel, Karina Culloton, (community advisor, City Councilor and St. Olaf alum) Rhonda Pownell, and Tucker Moore. The students will be contacting community leaders in the coming weeks. The final presentation will be in mid-December and is open to the public.